The Reifenhäuser Group is the most highly specialized as well as the most diversified provider of plastics extrusion technologies and components. CO2 lasers, solid-state lasers, fiber lasers, ultrashort pulse lasers or diode lasers for any indistrual process as life science, micromachnining, cutting, welding, marking or surface treatment. From single-digit watts right up to multi-kilowatts. A renowned company for metal working tools with almost 50 years of experience and an extensive range of high quality tools. Surface and profile grinding machines, high precision CNC grinding centres and polishing machines. We are experts in sustainable and quality-concious industrial cleaning solutions like ultrasonic cleaners, Spraywashers, Conveyor washers and oils separation. We develop, produce and sell highly efficient induction heating technology for a wide variety of industrial applications. Lasers, enclosures and options are the building blocks of our laser systems. We offer modular CO2 and fiber laser machines for marking and cleaning applications as well as easy to use laser systems. Heesemann sanding machines are well-known worldwide for their excellent sanding results, reliable mechanical engineering, economic mode of operation and efficient service. Without innovative pump and filter technology the exacting demands of the modern mechanical and systems engineering cannot be realized any longer. We make processes involving liquid media both more reliable and economical. 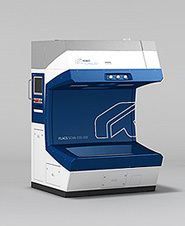 SCANLAB's laser beam deflection and positioning systems turn lasers into precise, highly dynamic and flexible tools that provide the basis for performing countless processing tasks. 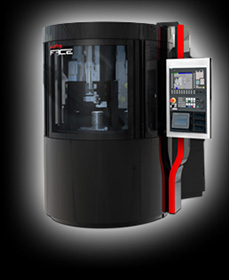 The Föhrenbach Group is one of the leading manufacturer of high-precision components, units and systems for linear and rotary movements in the automation technology and precision machinery industry. Föhrenbach products solve requirements for guiding, drive, movement, control and positioning. 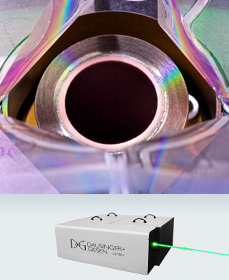 We develop, market and sell key components and know-how in the field of disk laser technology. Gravotech is a global leader of engraving and marking technologies for rotary CNC milling/engraving machines and CO2, Hybrid, Green and Fiber laser equipment, materials and supplies. We are the leading global supplier of PVD coatings and other surface technologies. We cover all aspects of coating using heat treatment and thin film solutions. We design laser systems around your needs for laser welding, glass engraving, laser marking and gray scale ID-card photo printing applications. SPECIALIST IN SURFACE TECHNOLOGY, We are your partner for innovative mass finishing and blasting technology.